(Bloomberg) — MTN Group Ltd. plunged the most in nearly 17 years after the Nigerian telecommunications regulator fined Africa’s biggest wireless company $5.2 billion for failing to disconnect customers with unregistered SIM cards. The stock declined more than 12 percent, the biggest one- day decline since November 1998, to 167 rand. That’s the lowest closing price since June 2013 and values the Johannesburg-based company at 308 billion rand ($23 billion). MTN was the biggest decliner in percentage terms on the benchmark FTSE/JSE Africa All Share Index, while also weighing more on the gauge than any other security on Monday. The penalty relates to the timing of the disconnection of 5.1 million MTN Nigeria subscribers in August and September and is based on a fine of 200,000 naira ($1,005) for each unregistered subscriber, Johannesburg-based MTN said in a statement on Monday. MTN Nigeria is in talks with the Nigerian Communications Commission to resolve the matter, the company said. MTN, which has about 233 million customers in 22 countries in the Middle East and Africa, cut its full-year forecast for subscriber numbers on Oct. 22 after the 5.1 million Nigerian customers were disconnected following a review into how they were able to register for phone contracts. Nigeria is the company’s biggest market, with about 62 million customers at the end of September. The NCC had ordered all mobile phone companies to register their customers’ SIM cards by August or face sanctions. MTN competes with Emirates Telecommunications Group Company PJSC, Bharti Airtel Ltd. and Glo Mobile in Nigeria. “Events like this, even if the final outcome is a lesser fine, still highlight the unmanageable risk of doing business in highly regulated industries in emerging markets,” James Faircliff, a money manager at Tower Capital Management (Pty) Ltd., in Johannesburg, said. Tower, a South African hedge fund manager with the equivalent of $185 million in assets, views the current drop in MTN’s share price as an opportunity to start taking profits on short positions it has on the stock, he said. 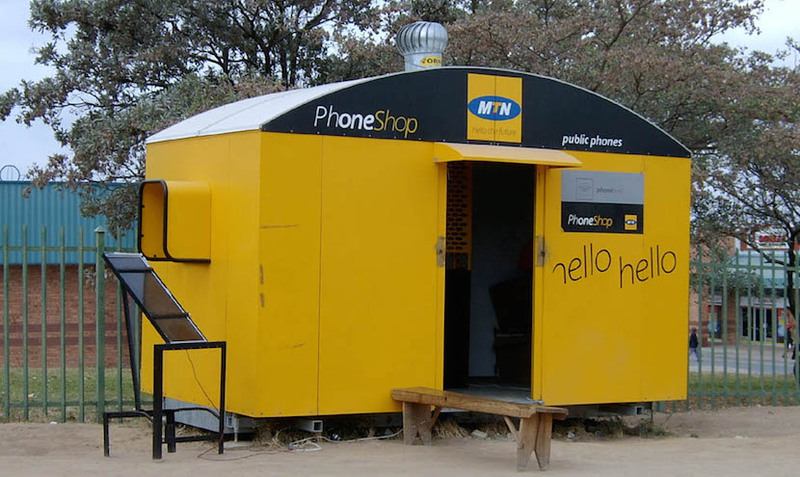 JOHANNESBURG, Oct 26 (Reuters) – Telecom group MTN confirmed on Monday it was fined $5.2 billion by the Nigerian regulator for failing to disconnect subscribers with unregistered and incomplete SIM cards at its division in Africa’s biggest economy. Shares in MTN were down more than 10 percent after the fine was announced. They were down 14.25 percent at 166.99 rand by 1428 GMT. Africa’s largest mobile operator said in a statement that the Nigerian Communications Commission (NCC) imposed the fine on MTN Nigeria and said it related to the timing of the disconnection of 5.1 million subscribers in August and September. “MTN Nigeria is currently in discussions with the NCC to resolve the matter in recognition of the circumstances that prevailed with regard to these subscribers,” the company said. The NCC said all other telecom firms operating in Nigeria complied with the directive except MTN, Tony Ojobo NCC’s director of public affairs said. The regulator said MTN, whose biggest market is Nigeria, had not denied the infraction and that its enforcement team deactivated the unregistered lines to ensure compliance. “We had a directive that was given to all the networks to deactivate all unregistered SIM card on their networks and they had enough time to do that,” Ojobo said. MTN reported a slowdown in quarterly subscriber growth last week citing stiff competition and tougher regulation in Nigeria. “Whenever the Nigerian regulator steps up enforcement, MTN takes a hammering,” Dobek Pater, a telecoms analyst at Africa Analysis based in Johannesburg, said. Nigeria contributes around a third of MTN’s sales, he said.